October is here and it’s time for our first ever Halloween Books Challenge! Are you ready to join our Spooktacular fun with your kids? 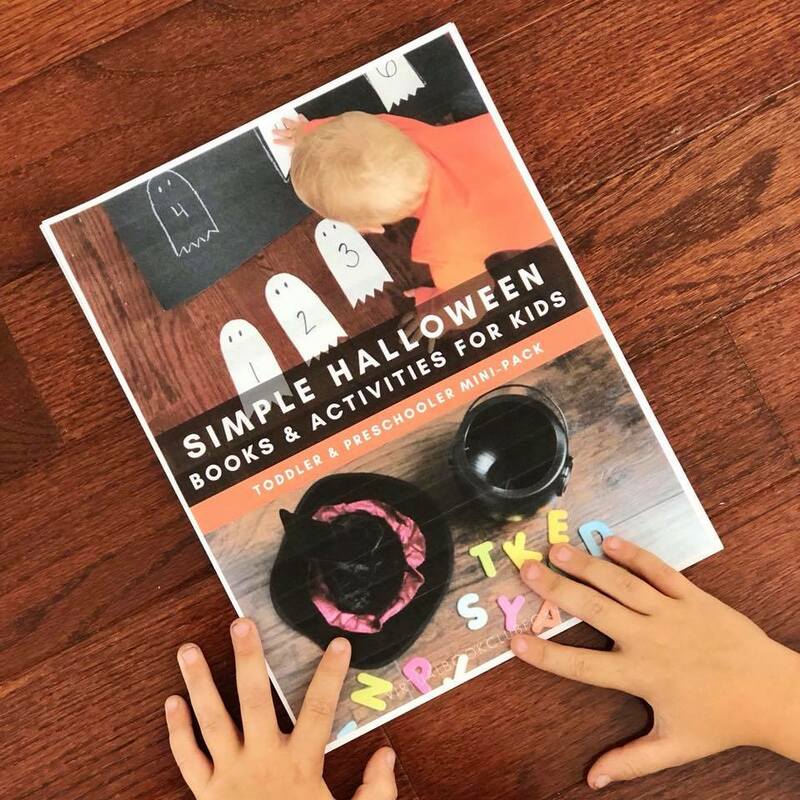 Come join us for a week of Halloween Books and Activities for your Toddlers & Preschoolers for just $3.99! This mini pack is created to make doing this as easy as possible for you. 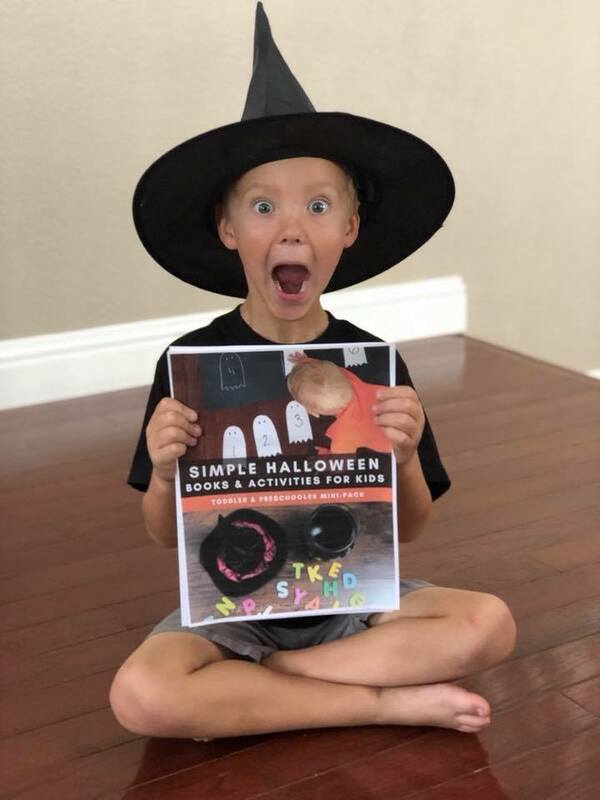 Included in each mini pack are 7 themed Halloween activities including sensory, number, literacy, crafts, songs and a recipe. 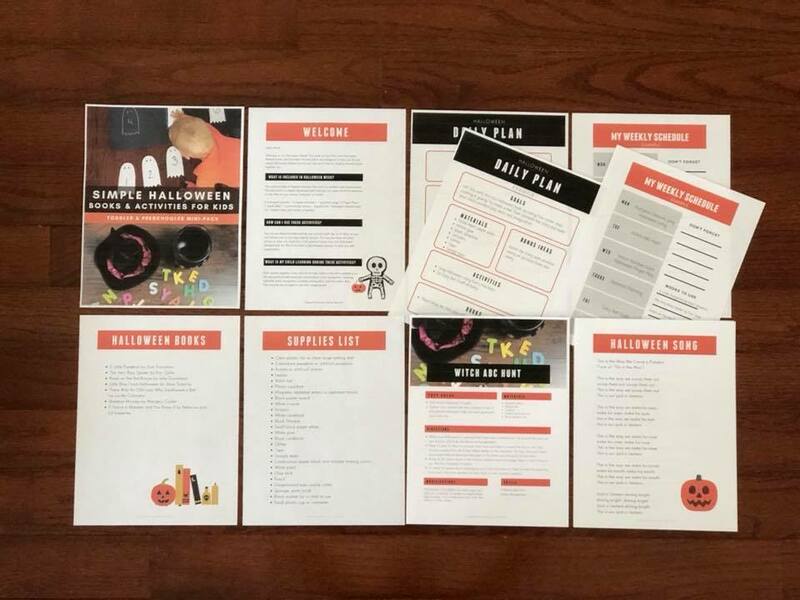 These activities are perfect for toddlers and preschoolers and simply enough you can pull them together quickly for a week of fun with your child or even host a Halloween playdate with friends. 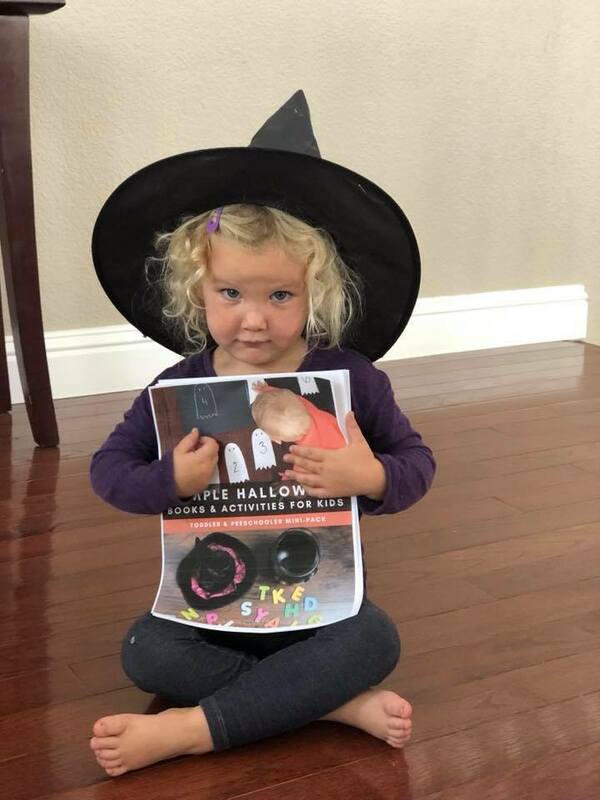 All age appropriate for just enough spooky fun for even your littlest Halloween fans. All themed around Halloween for extra fun this October. Will you join us? « FALL STEM Challenge for Kids: Leaf Sculptures.